If you are a skier, one of the joys of living in this part of Switzerland is the ability to get to any number of resorts within a 90-minute drive from Sion, Geneva or Lausanne. The Valais and Canton Vaud alone boast some 66 resorts with almost 3000 km of slopes. And that’s not including nearby resorts in France. All this choice can, of course, be intimidating to newcomers: working out the logistics, finding a ski school that they like, and getting to know the slopes. It’s no surprise then that most people stick to one or two resorts. This is a missed opportunity for many reasons. Different resorts have their different strengths and as skiers advance, it’s good to be able to ski on slopes that suit those levels. One resort is unlikely to meet all those requirements. 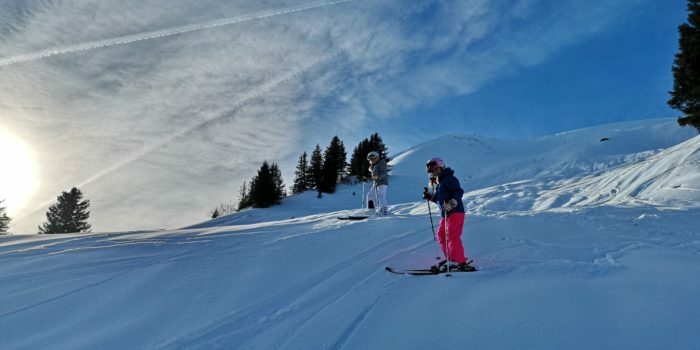 Villars could be great for the first day or so as a beginner, whilst Morgins has lots of great blue slopes to build up confidence. Thereafter Verbier and Saas-Fee are suitable for moving to the next level. SnowPros Ski School is set up to help customers with this. It is a full-service ski-school but without a fixed base in any resort. Operating across Valais and Vaud, their guides can take the skier to where they want. 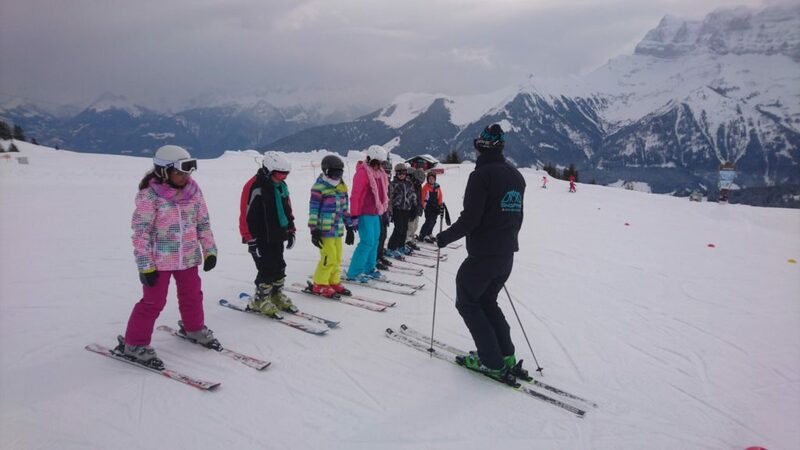 If the customer has a favourite resort they can use that as a base, with the school showing them new skills as well as some new slopes and restaurants. Dave Burrows created SnowPros after working in ski schools in the region. He explained to Living in Sion that “customers now want a more personalised and flexible service and one that can be booked online in English”. Dave also teaches football coaching in the summer and also teaches the ski race teams in International Schools. SnowPros focuses primarily upon the expatriate market, especially on beginners. Typically, this can be either getting children ready for the annual school ski holiday week (so that they can keep up with skiing school friends); or introducing families who are new to Switzerland to skiing so that they can acquire the skills that allow them to make the most of their time here. SnowPros also helps those for whom skiing has previously been restricted to an annual holiday, to get to the next level whilst exploring the range of different resorts. 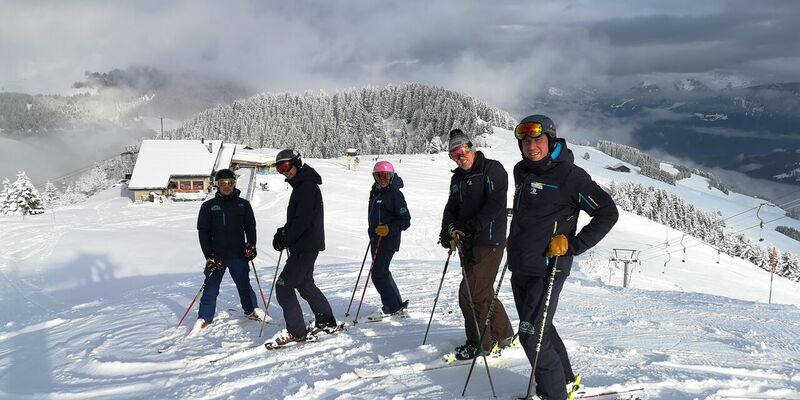 Dave has learned that his clients “like the idea of getting to know one ski instructor and then letting that instructor guide them to different ski resorts that are matched best to their ski level”. 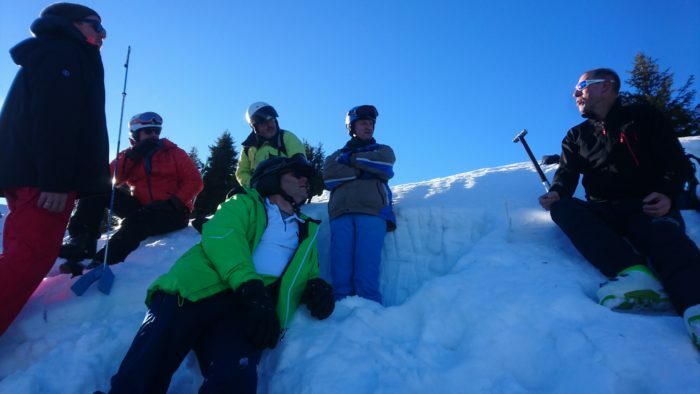 SnowPros have both female and male instructors who speak several languages and teach throughout the week. Dave adds, “during the weekday the “trailing spouse” can benefit from quieter slopes and (often) one-on-one instruction to improve their technique and experience different resorts”. 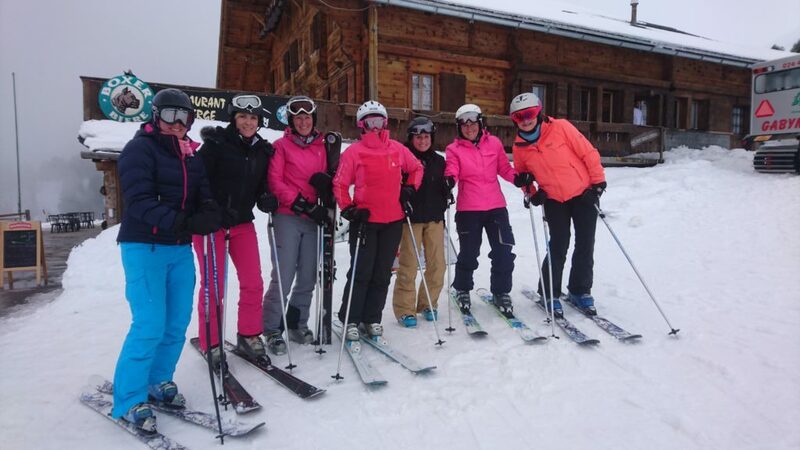 SnowPros also organise girls only “Big Days Out” and avalanche safety days for adults and children to keep people safe when skiing off-piste. Check out their website which has details of the types of lessons on offer and the ability to book them online.